A home is most often one of the most valuable assets a person can own in their lifetime, and is also one of the largest components of the taxable estate. A Qualified Personal Residence Trust or a QPRT allows you to give away your house or vacation home at a great discount, freeze its value for estate tax purposes, and still continue to live in it. 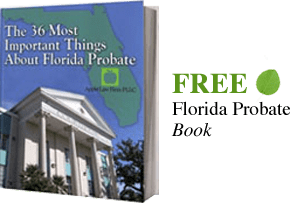 The best Jacksonville estate planning attorneys often use the qualified personal residence trust as an effective estate planning tool. The qualified personal residence trust is an irrevocable trust that is funded by the transfer of the personal residence into the trust. The settlor of the trust, the person transferring ownership of the house, retains a right to live in the house for a certain amount of time. After this amount of time passes, the trustee will then transfer ownership of the home to a designated beneficiary. A personal residence must fund the Qualified Personal Residence Trust, as its name implies. This means commercial homes or vacation homes cannot be transferred into this type of trust. The transferor must also transfer his or her entire interest in the house to the trust, so a fractional interest may not be transferred. The transferor of the house is allowed to stay in the house for a specific term of years. This is usually anywhere from 5 to 20 years, but the IRS imposes no minimum or maximum duration. Once the term is over, the transferor no longer has the right to live in the house. However, the client may live in the house if he or she pays rent to the beneficiary or the trust if the trust has possession of the home. The additional rent you pay is an increased benefit because it further reduces the value of your taxable estate. An excellent reason a client should consider using this type of trust is that the client can save money by paying less tax. When it comes to income tax, the transferor may still deduct interest paid on the mortgage of the property. The IRS views a transfer of a house to the Qualified Personal Residence Trust as a completed gift for purposes of the gift and estate tax. The current lifetime exemption for gift taxes is $5 million for a single person, and $10 million for a married couple, so it is unlikely that many people will ever have to worry about this tax. However, wealthier clients need to utilize this tax exemption to preserve their estates for their children and loved ones. If the client needs to preserve this exemption we often recommend this type of trust. When a client transfers the house into the trust, the value of the gift is computed under the IRS actuarial tables. The value of the gift for tax purposes is not the entire value of the property transferred, but the fair market value of the residence at the time of the transfer minus the value of the client’s retained right to use the residence for the term listed. This means the value of the gift is a fraction of the full fair market value of the residence at the time of transfer. If the client dies before the end of the Florida Qualified Personal Residence term period, the value of the house is included in his or her taxable estate. The trust also provides excellent asset protection from creditors because the original owner no longer technically owns the property. Once the settlor forms the trust, and the owner transfers the property into the trust, then the government will deem the trust as the actual owner of the home. Although Florida homesteads have protection from creditors, second homes or vacation properties are not protected under the Florida Constitution. If you would like more information on Qualified Personal Residence Trust or to create a Qualified Personal Residence Trust in Jacksonville or Ponte Vedra beach of Florida, CONTACT our Florida Trust Lawyers by email or call us at 904-685-1200 to discuss your situation today.